Banking on our years of experience, we are providing our esteemed clients with a vast assortment of Non Woven Bags. Due to our years of expertise in this realm, we are readily affianced in presenting an exceptional quality variety of Non Woven Hand Bag. Keeping in mind the current market requirements, we are cherished in tendering Non Woven Handle Bag that is available with customized printing option as well. 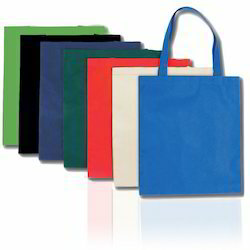 We have been affianced to offer assorted range of Non Woven Bag to our respected clients. Price Range:-Price range: 20 Rs to 30 RsUsages:-Rice/Granules/pules/Seedssizes available:-3Kg/5Kg/8Kg/10Kg/15Kg/20Kg/25Kg. Note:- We are manufacturing HAND-MADE products. Being a well-known firm, we are involved in providing an extensive range of Non Woven Bag to fulfill the needs of our patrons. 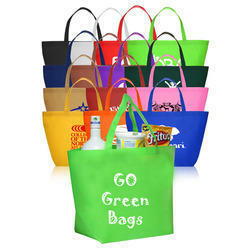 We bring to our customers Fancy Non Woven Bags. These products are made from high quality components.